UX Designer and Front End Developer at Adobe Design working on web implementations of design systems. 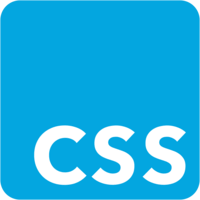 Cascading style sheet (CSS) selectors are the glue that connects styling to HTML content. Understanding how they work enables a developer to write more semantic markup and keeps styling modular for better project maintenance. In this course, we will start with basic selectors and work our way through more complex classification of selectors, explaining common use cases along the way. Finally, we’ll look at how selectors can be combined and how selector specificity can create some common problems.